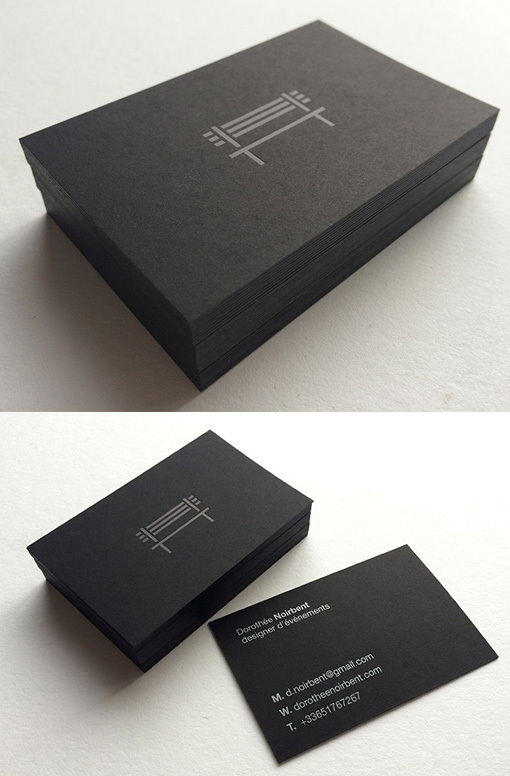 This excellent business card set features a sleek and striking minimalist design which makes the most of the clean lines of the logo. The black-on-black styling gives an air of professionalism and the card looks serious but is softened by the whimsical park bench logo. The details have been printed on the back in opaque white which ups the contrast on this side of the card and lifts the feel of the card so as to avoid the overall effect being too sombre.